Today we have an occasion to celebrate since Golden Rim made it to the top 15 personal blogs in India by baggout. I was about to travel at that time so this giveaway was on hold and now it's time for the giveaway. I liked your answer Ekta as earrings can carry the whole look, and big earrings surely gives necklace a skip. Mail me your address on jquery.sonali@gmail.com within 48 hours. I have collaborated with SoulfulSaai - handmade fashion accessories brand for this sponsored giveaway. The giveaway will run for a week starting from 15th August 2015 till 21st August 2015. 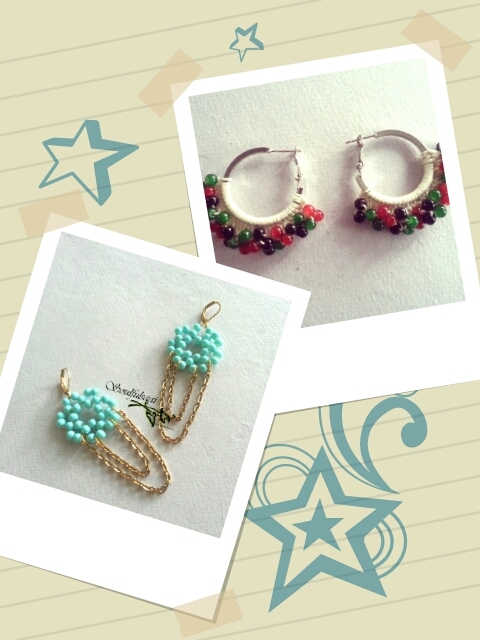 One winner will win both the beautiful earrings in the above picture. So head to my Instagram page and take part because you never know you might just win these beautiful earrings for yourself.